As we all know how much important real-world knowledge or practical experience is; that is why candidates with practical expertise get priority over others in all fields. Especially in networking, it is more critical. 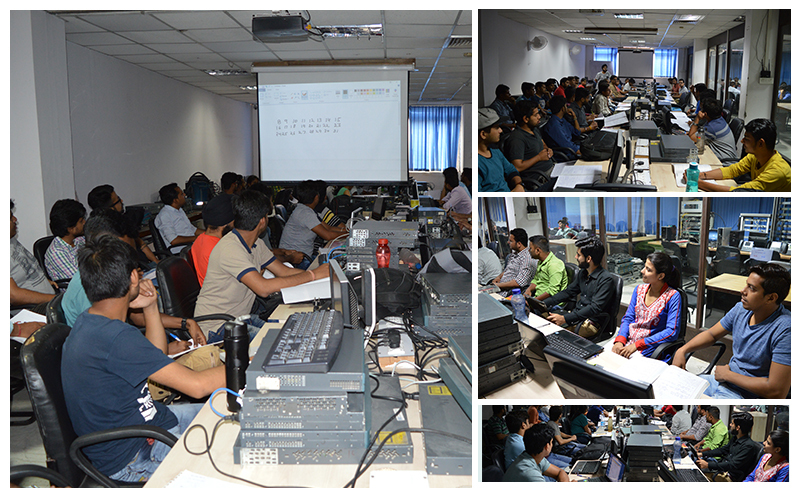 All candidates who wish to make a career in networking and are planning to take Cisco Certifications must consider training only at the institute which offers extensive practical exposure on real devices. How to make Career in Networking? The answer to why practical knowledge is more critical in networking is hidden in its career path. The best way to make a successful career in networking is to pass Cisco Certifications. Cisco offers 3 levels of Certifications in multiple technology tracks like Routing & Switching, Security, Data Center, Service Provider etc. Each level opens up job opportunities in Networking and as you keep passing higher certificate the chances of job and good salary package are brighter. To pass these certifications, candidates must have practical knowledge as these exams have a dedicated lab test to assess your practical skills. CCIE Level exam consists of written exam and 8 hours long lab exam which tests candidate's practical exposure thoroughly. So, now it is easy to understand why practical training is important in networking. That is why students must consider lab as a major factor while choosing a Cisco Training Partner. Today we will take you through world's largest Cisco training lab. The major reason for this astonishing performance is Network Bulls' lab. 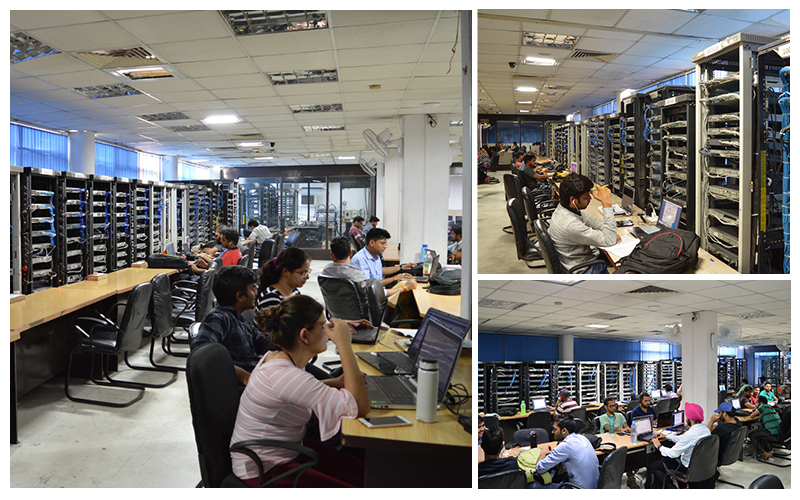 Yes, Network Bulls lab is fully equipped with all the latest and real devices plus its lab is regarded as world's largest cisco training lab. On entrance, you would immediately see CCNA section in Network Bulls Lab. This section is full of real routers and switches along with desktops for the complete practical experience. CCNA makes the foundation of your networking career, solid understanding at this level will ensure your success. Now the next section in NB lab is CCIE Section which entails devices of CCIE R&S Version 5, CCIE Security Version 5, and CCIE Data Center Version 2. 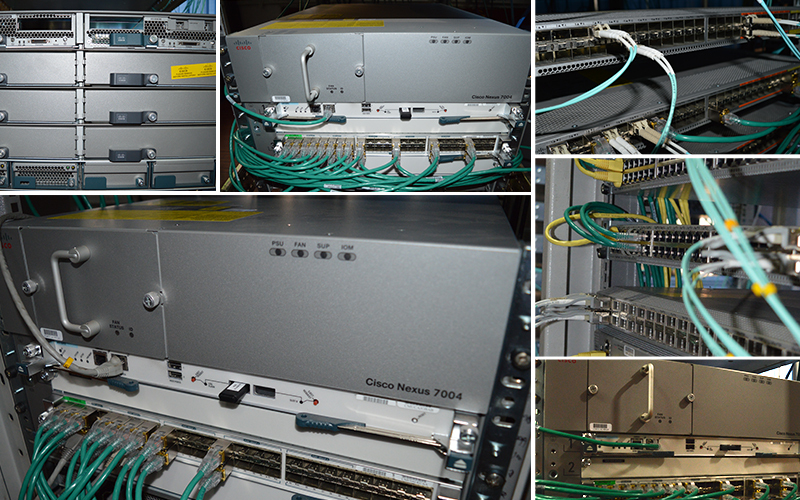 Moving forward you will see one of the largest sections of the Network Bulls' lab - CCNP & CCIE Section. This section is full of so many racks and real devices for CCNP & CCIE Students. At Network Bulls we make sure that students focus on self-study and they are encouraged regularly for it. Silent study zone has been created with the same objective. Students can come, study for hours and hours without any hassle. 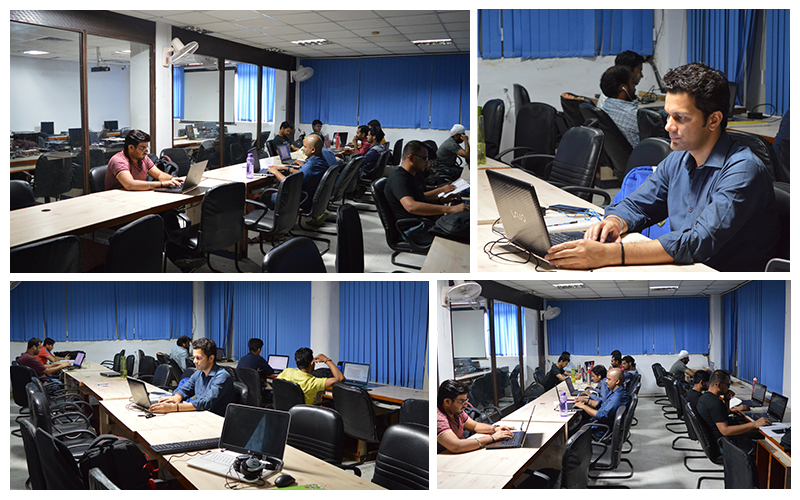 In the end, you will see one more CCNA Practical lab dedicated for CCNA students. In this section, you would see Cisco Routers & Switches, and Projector Screens for best of practical exposure. 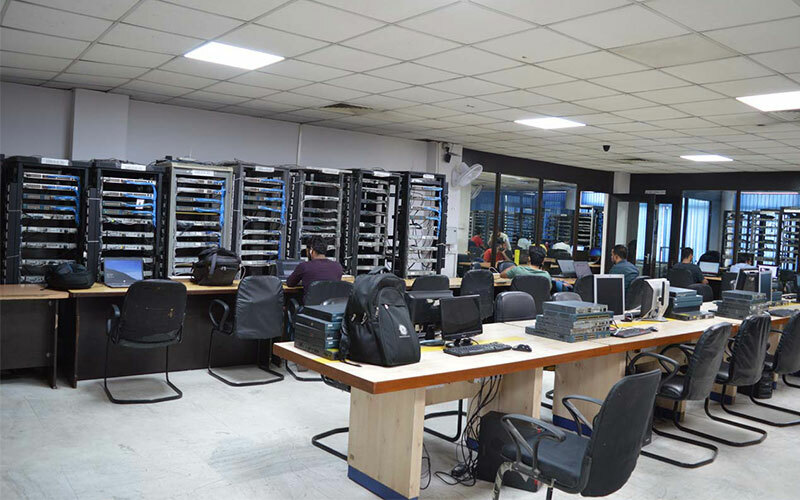 In this lab, NB's Certified trainers conduct separate CCNA Practical Classes, which you will not find at any other institute in India. 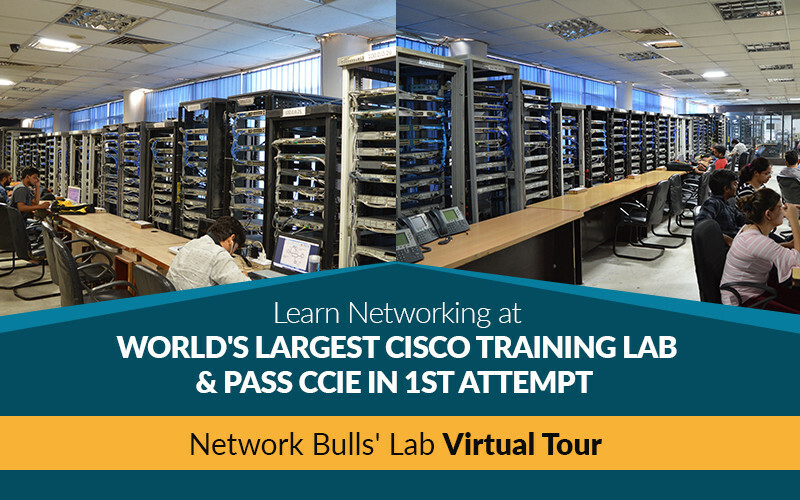 Today, we have shown you Network Bulls Lab's every section closely and the entire lab. From pictures and virtual tour video you can easily imagine how big NB Lab is, and you can also see students practicing, learning and gaining expertise in networking. So, do make a visit to Network Bulls' lab and then decide. There is no bigger lab than this in India for Cisco training, many institutes promote labs but a reality check is important. We suggest each shortlisted institute yourself, experience the infrastructure and then decide.